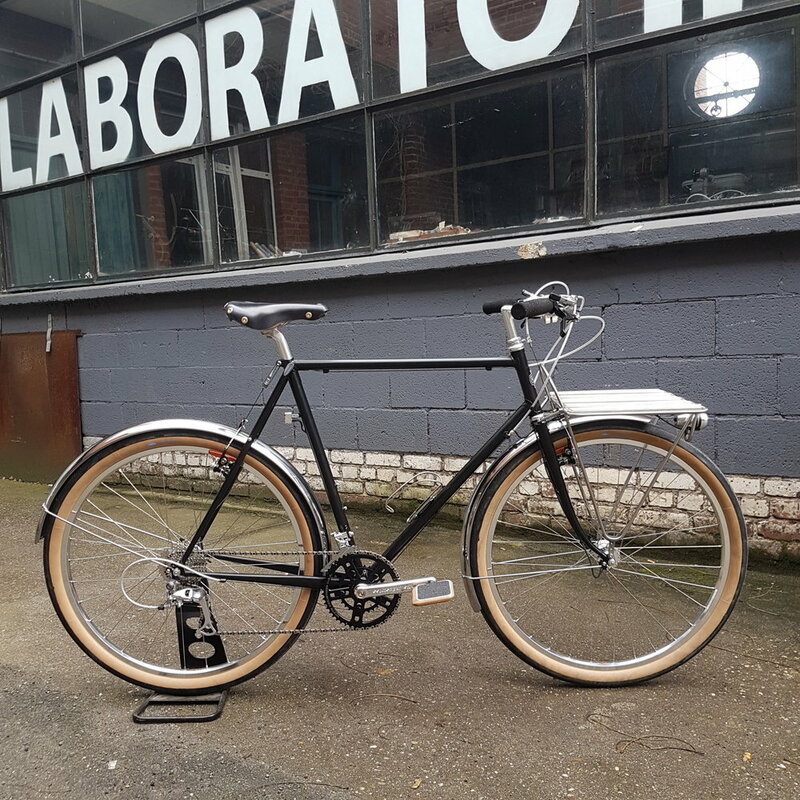 I don't get a chance to build an urban bike that often. Therefore I was very thrilled about this project: classic French porteur, pimped with beautiful components from Paul Components, White Industries and Gilles Berthoud . For a comfortable ride I put on the plush Compass 48mm Switchback Hill tires. 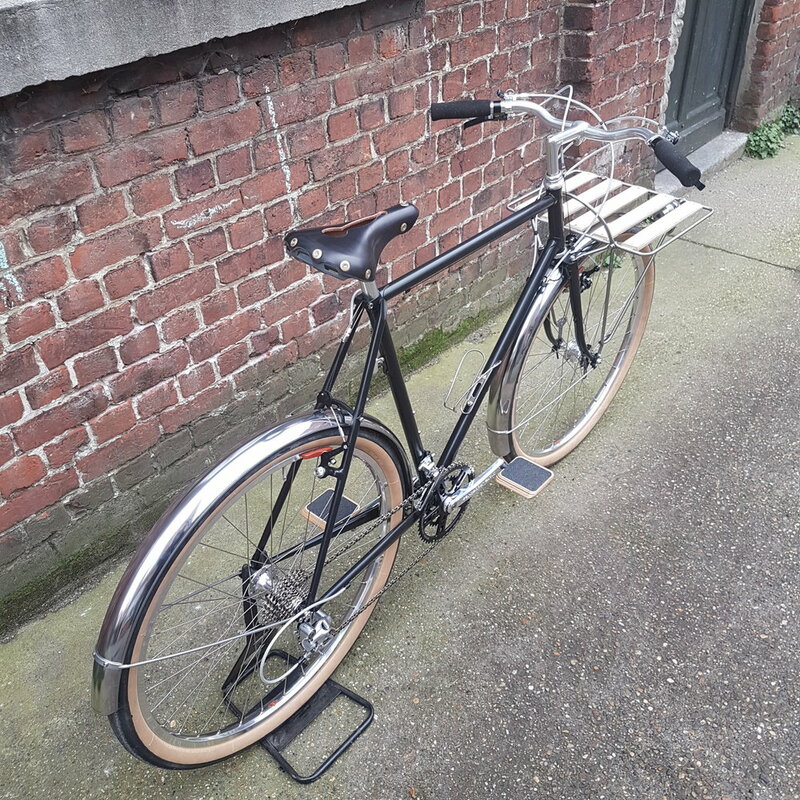 The Moto Urban pedals allow to ride the bike with pretty much any type of shoe and their wooden core goes well with the wooden elements of the porteur rack made by TimTas & Rek. The lugged frame and fork are made from Columbus SL tubes. Wheels built as usual by Cycles Get Lost.